Should I Refinance Out of an ARM and Into a Fixed Rate Mortgage? Home » Mortgage » Should I Refinance Out of an ARM and Into a Fixed Rate Mortgage? Mortgage rates continue to drop to historic low followed by an even lower historic low. If you own a home with an adjustable rate mortgage (or ARM), is it finally time to refinance into a long term fixed rate mortgage? Or will rates stay at their current lows for long enough to make sticking with your ARM a wise decision? When deciding whether or not you should refinance your adjustable rate mortgage, the first obviously place to do your comparison is the interest rate. If your adjustable rate is significantly above current fixed rates then it probably makes sense to refinance down to the lower rate. However, there may still be a time when it makes sense to stick with your ARM. If you decide to refinance out of an ARM, you are making a conservative, stable decision. 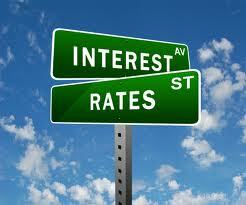 You are removing the risk that interest rates go through the roof and taking your home payment with them. That is always a good thing. Even if you don’t believe interest rates are going to go up any time soon, being able to lock in your rate until payoff of your home is a great decision. You can budget and plan when you have a fixed mortgage payment and don’t have to worry about fluctuations. As low as fixed interest rate are, sticking with your ARM may not be a terrible decision either. The Federal Reserve has made it clear they plan to have interest rates at rock bottom for a very long time. That means your adjustable rate mortgage will continue to either stay flat or move down based on rates in the industry. While it might be nice to get a 2.75% rate on a 15 year mortgage or or a 3.25% rate on a 30 year mortgage, sticking with your ARM might mean your interest rate drops to 2.25% or 2.00%. You have to deal with the uncertainty of the rate in the future, but sticking with it for now may be the better financial decision. Going with a fixed rate mortgage over an ARM does have a slight risk. Refinancing today may mean you pay a little bit more interest than you should in the long run. You are locking in at a low rate, but your ARM could adjust lower in the future. Sticking with your ARM is considerably more risky than refinancing out of the ARM. It is unlikely that interest rates would jump significantly in a short period of time – short enough you wouldn’t have time to react – there is still the upside risk that interest rates would go up. If that happens you would have to either stick with your ARM and wait for the adjustment to end in a higher rate for you, or then refinance into a fixed rate mortgage. By waiting to refinance, you risk locking in to a higher rate than you would lock into today.